Introducing the official launch of my new series, 48 Hour Foodie Guide! 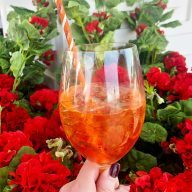 For each of these, I’ll be highlighting exactly how to eat and drink your way through my favorite destinations – all in 48 hours. First stop on the trip? 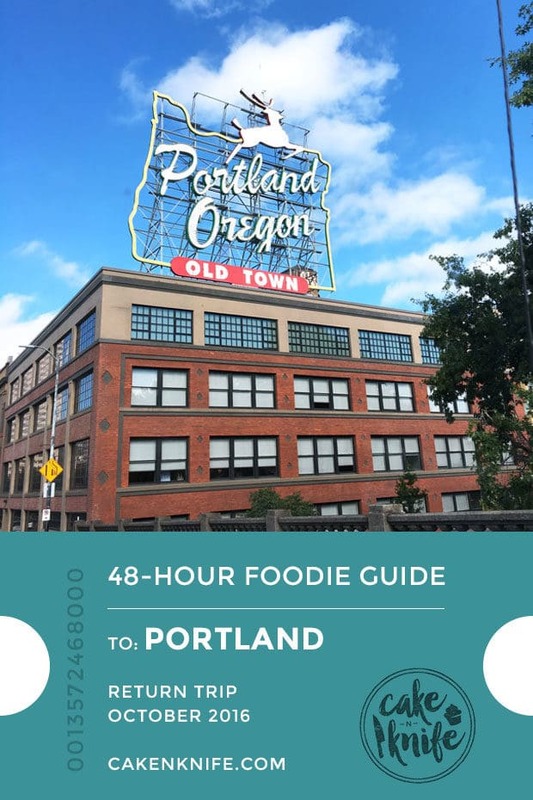 48 Hour Foodie Guide: Portland. Visiting a city that someone knows like the back of their hand, just as well as they know you actually, is one of those perfect experiences. 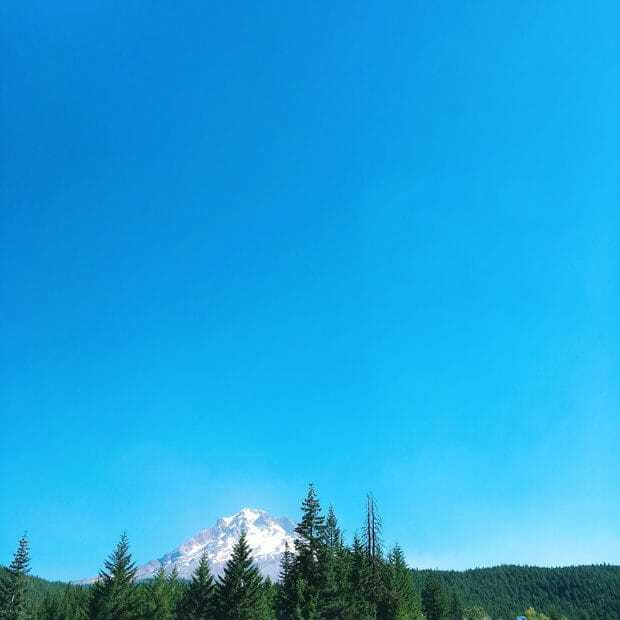 I went to Portland over the summer for a weekend (before one of the most awesome road trips EVER btw) and I had the BEST time. I’ve always heard great things about the Northwest, but nothing could prepare me for how amazing of a city Portland is. 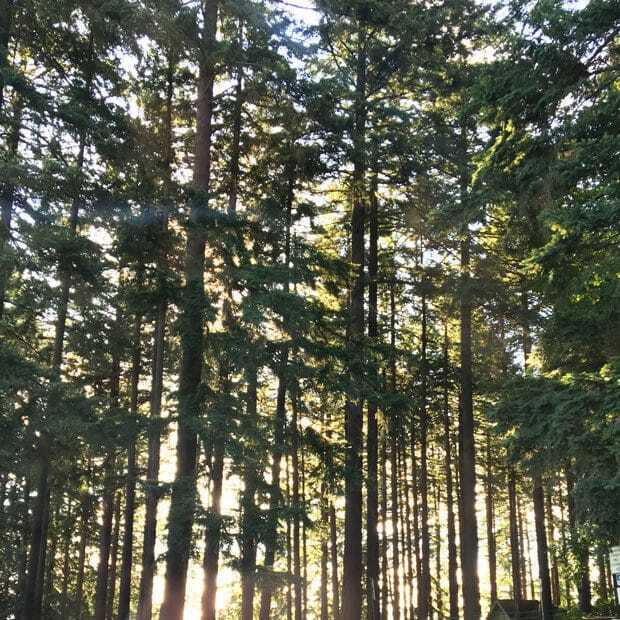 The green, the super tall trees, the best bookstore I’ve ever been to (seriously, EVER)… Well, the point is, if you happen to be in Portland for at least 48 hours, here’s the places you have to eat at, drink at and see. 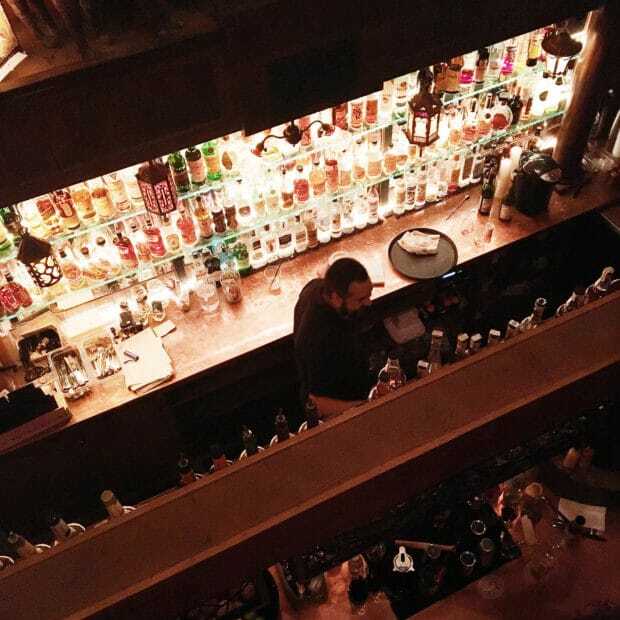 McMenamins Kennedy School – This is my number one recommendation to eat, drink and see. There are several different McMenamins throughout Portland, but this one really stuck out to me because it used to be a school (yes, I know, I am such a nerd). 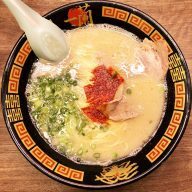 Everything is here – a theater, bars, restaurants, etc. There is even a bar named Detention in the old detention hall! You need to just set aside an entire night and dedicate it to this place. 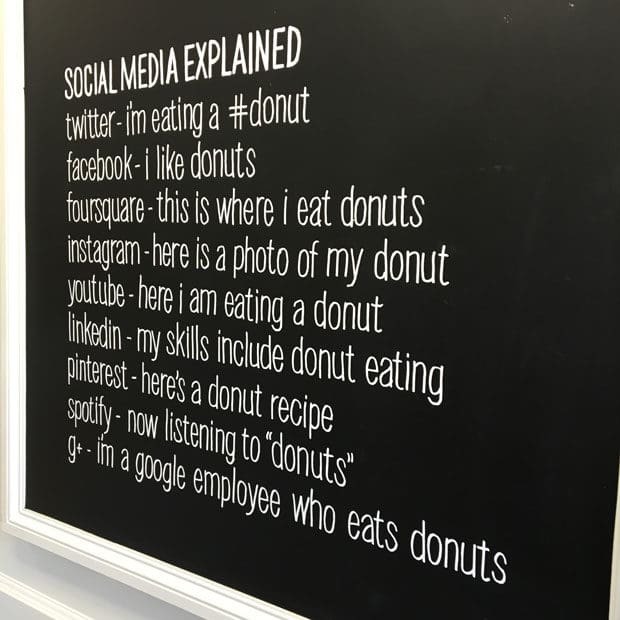 Blue Star Donuts + Coffee – O.M.F.G. The donuts here are SO bomb. 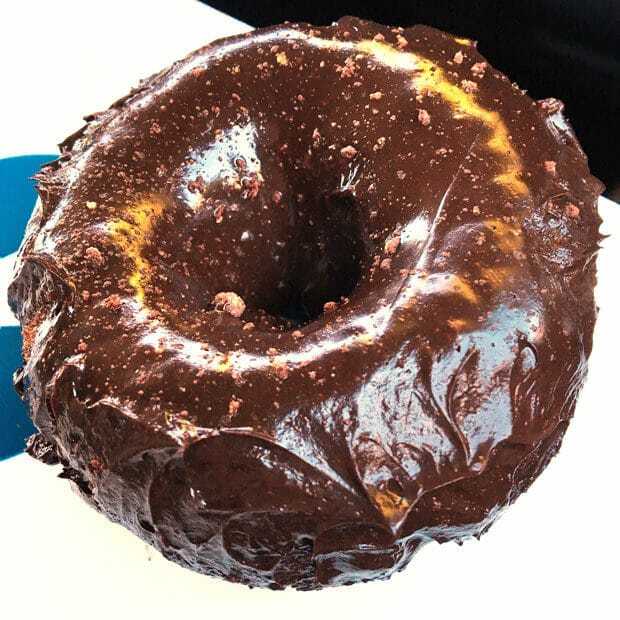 There are a few around the city and holy crap, the Mexican chocolate donut made me completely lose it. I had to restrain myself from shoving the entire thing in my mouth so I could share a bite or two (reluctantly, I might add) with my main squeeze. Kenny & Zuke’s Delicatessen – After heading to Powell’s City of Books (see below on what to see – if you love books like I do, you might cry…), we stopped by Kenny & Zuke’s for lunch. 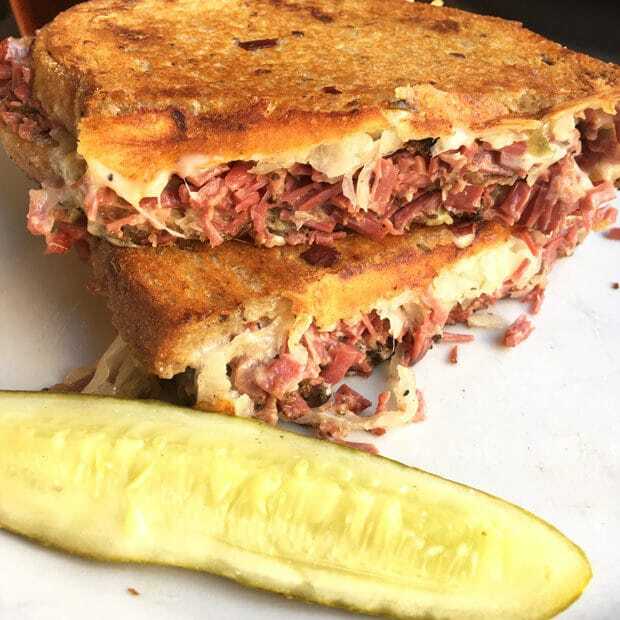 Their Classic Reuben sandwich made with beef pastrami was beyond delicious. It literally melted in mouth with every bite. 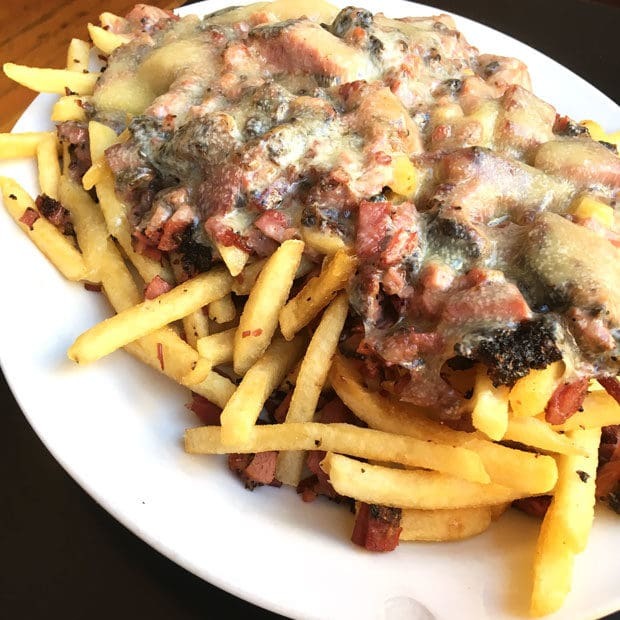 Not to mention the beef pastrami cheese fries we got because who doesn’t want to eat all the handcrafted pastrami, all day erry day? 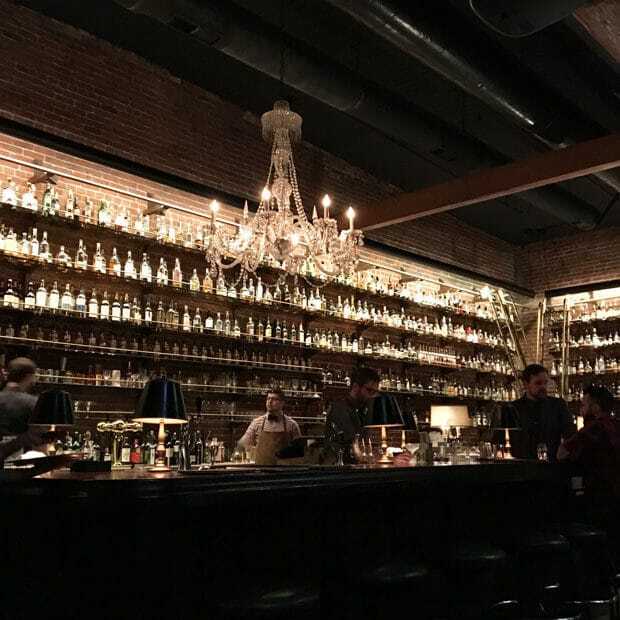 Multnomah Whiskey Library – I should really be listing this twice under Where to Drink AND Where to Eat… and there’s a serious reason for that. This place was my other number one favorite place to hit the whole trip. It’s one of those experiences that you have to go and embrace when you visit. 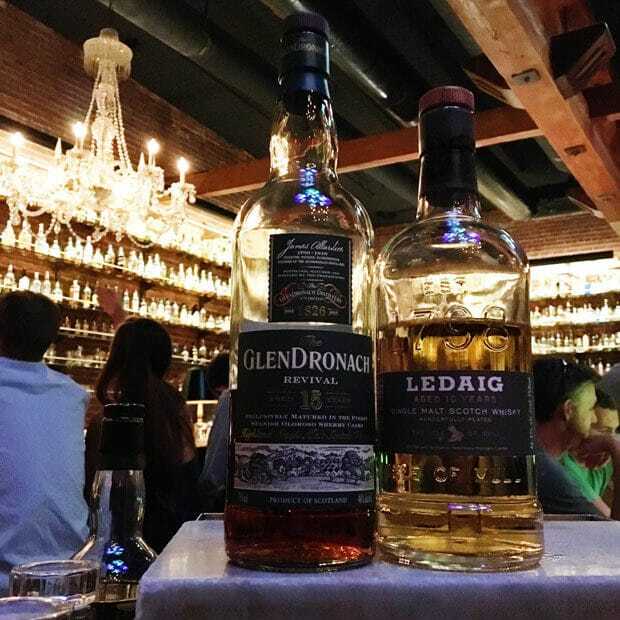 Now, this place is definitely for those of you who love whiskey and scotch. They do have everything else there but this is their specialty. 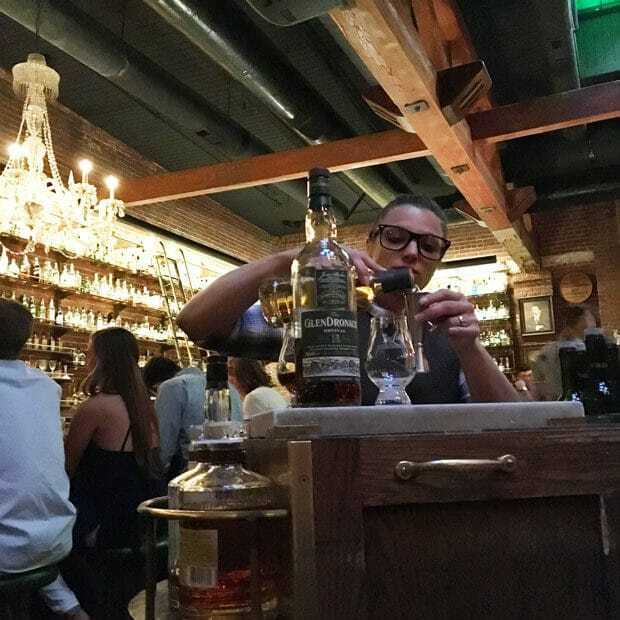 All of their staff is trained on all of the spirits, so when you simply ask for a specific flavor profile, their pick out something perfect for you. I went with a spicy kick, whereas ‘main squeeze’ (I haven’t decided what I want to call him just yet on here… His actual name would just be too easy right?) went for something smoky. We were both so impressed with what we were served. Plus their insanely delish mac and cheese, eaten on leather couches in a dimly lit room that looks exactly like an older library, made our whole night. The Goose – Best freaking margarita I’ve had in SUCH a long time. 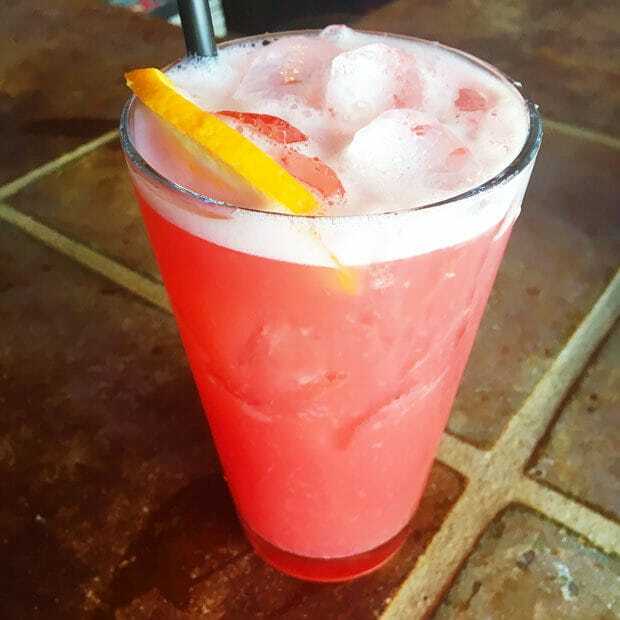 I had their blood orange margarita and the flavor was so intense I almost cried with happiness. After a long day of walking EVERYWHERE, sitting down with a very potent margarita like that gave me a little extra oomph of energy to reset for the rest of the night. The vibe in there is very bright and happy, not to mention their happy hour is kind of killer. 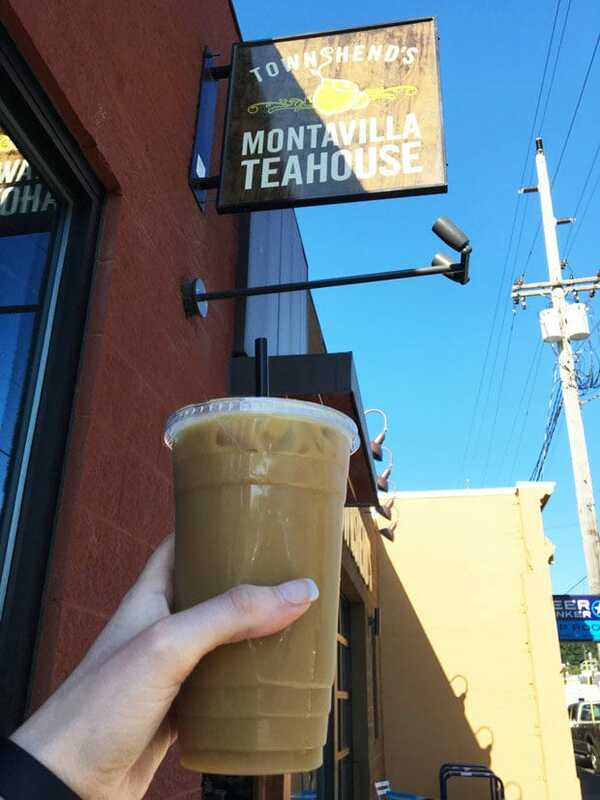 Townhend’s Montavilla Teahouse – If you love tea, this is the one place you need to hit for a refreshment break. 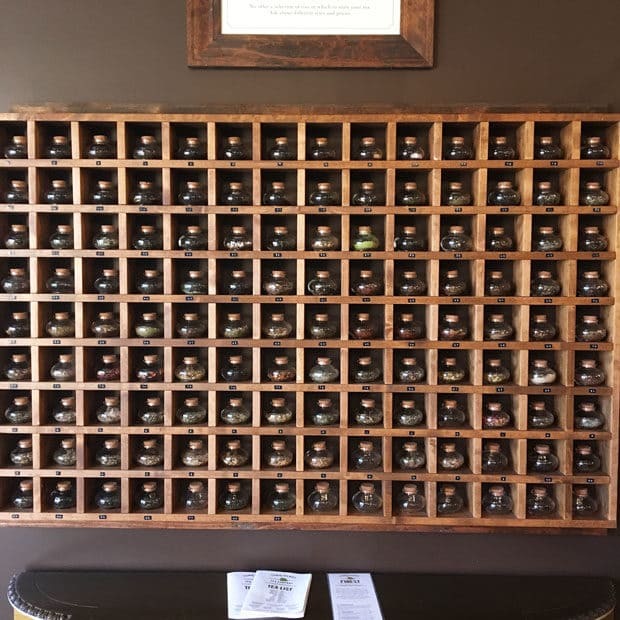 They have so many different flavors of tea! Now they also have tea mixes that are pretty interesting (honestly, I am purist when it comes to tea so I want mine as simple as possible), but I’ll have to return on my next trip to really play around with those combinations. It’s also a super relaxed place to just sit back and relax, especially the morning before you head back to wherever your home may be. 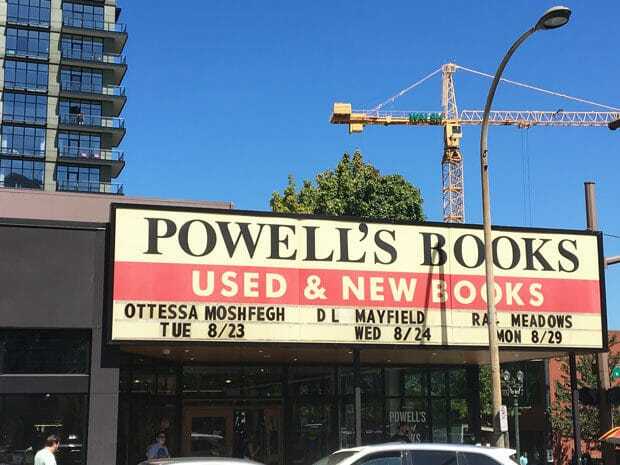 Powell’s City of Books – If I could live in a bookstore, this would be the one. There are rows and rows and rows of books in this place. It literally takes up an entire city block. I don’t think I’ve ever seen so many cookbooks in one place before! I was drooling… and swooning… and about to spend every last cent I had there. My favorite part was this rare book room they have on the top floor. You go in and you can just smell the old books. They had everything from books dating back to the 1800’s, to hilarious cocktail books made in the 1960’s with illustrations of pinup girls throughout it. We spent a solid couple of hours in there, but I could have spent days. Moonstruck Chocolate Co – Want a little treat to take home? Head to Moonstruck Chocolate Co on 23rd Ave for some of the best chocolates I’ve ever had. 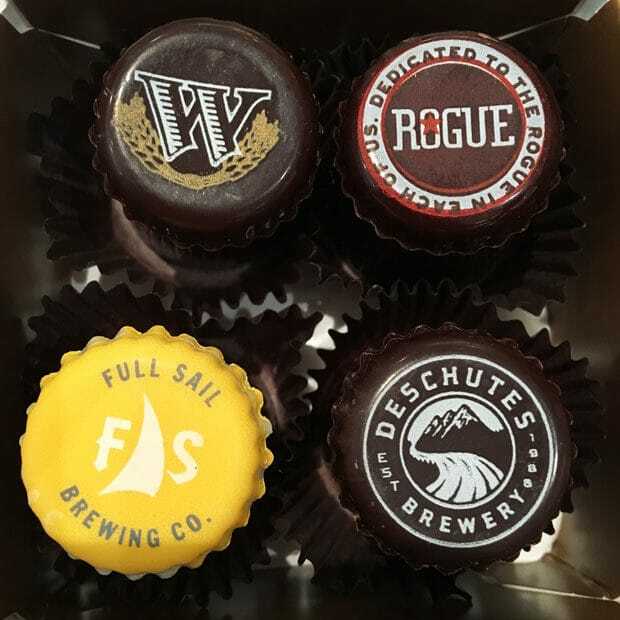 They have this set of collaboration chocolates with breweries in Oregon that were SO dang good. Unfortunately I only enjoyed one or two of them… I took them with us on the road and discovered a day later that they had tragically melted in the backseat of the car before I had a chance to enjoy them. PLEASE for the love of all that is holy don’t make this mistake… Hit the store and eat the chocolates there. You can even just stroll all up and down 23rd Ave for all the fun boutiques and other shops as you snack on your treats. 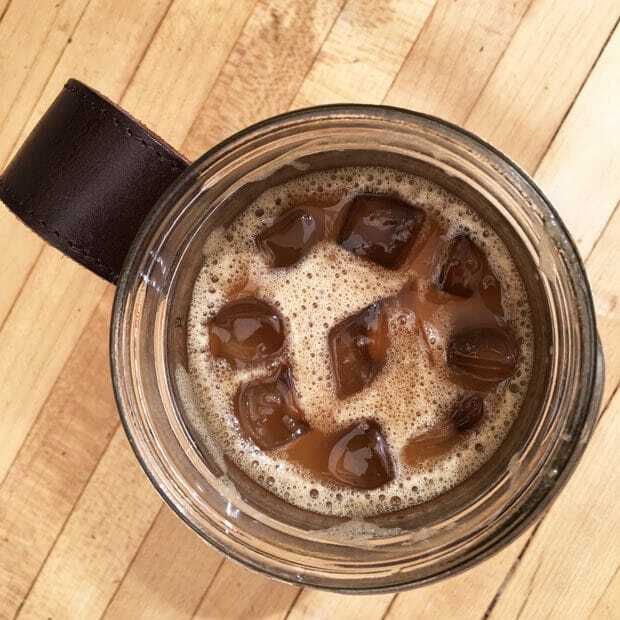 Be sure to hit Will Leather Goods while you are there – they’ll even make you coffee while you shop! Plus when you get a clear shot of Mt. Hood peaking out over the trees, you’ll have to pause a second to catch your breath. 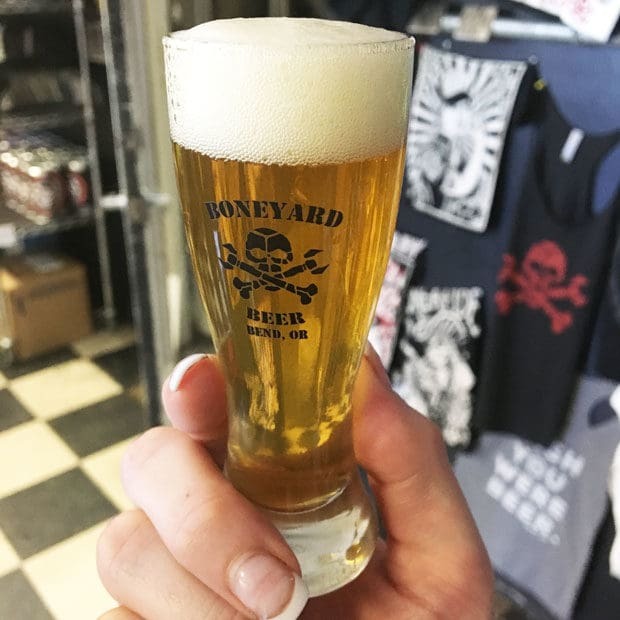 Boneyard Beer – Beer lovers be sure to hit up Boneyard Beer. They have some really solid beers hidden in that quaint little tasting room of theirs. Personal favs for me were their Diablo Rojo and Bone-A-Fide! Deschutes Brewery Public House – Head more central into Bend for a delicious meal at Deschutes! The beers on tap are always delicious and the food pairs so so well with it all. Then walk around the center of town and up by the river. 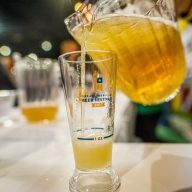 It’s the perfect lazy beer day for all you foodie beer fans so it’s well worth the drive. You see? 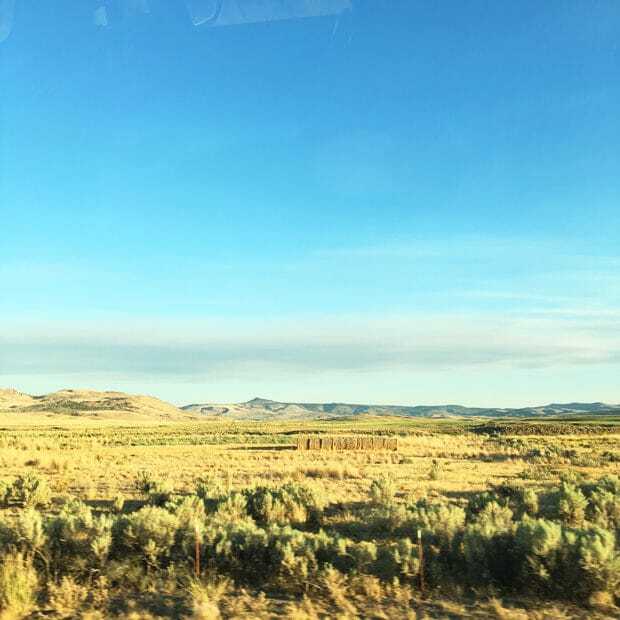 48 hours to get the full Portland experience with a side trip to Bend for a little extra Oregon thrown in is totally doable (and downright enjoyable)! Now the only question is… where do I go next…?